Saint Joseph’s Secondary School’s 60th Jubilee has begun. The Old Girls came from around the world to take part in the diamond jubilee celebrations. The celebrations started off with a opening mass at the Sacred Heart Cathedral in Suva yesterday. Over 1000 people attended the opening mass including the Old Girls Alumni and current staff, students and parents. SJSS Old Girls president, Pule Sukanaivalu said the girls had been planning the week-long event for over seven months now. “It is fantastic to see how everything turned out after so much work and planning to get all the alumni of SJSS from 1950s till date,” Ms Sukanaivalu said. “We all are happy that we are here and so far it has been a successful celebration. She said the whole week would be filled with fun activities and performances from the alumni. “The week-long event will also have one of the important activities which is the story telling; where the alumni girls will share their experiences to the students,” Ms Sukanaivalu said. She said they have conducted a lot of fundraisers to organise the event which would help them cater the expenses. “We organised the fundraisers to meet the expenses for this celebration and the money left will go for the school expenses,” Ms Sukanaivalu said. 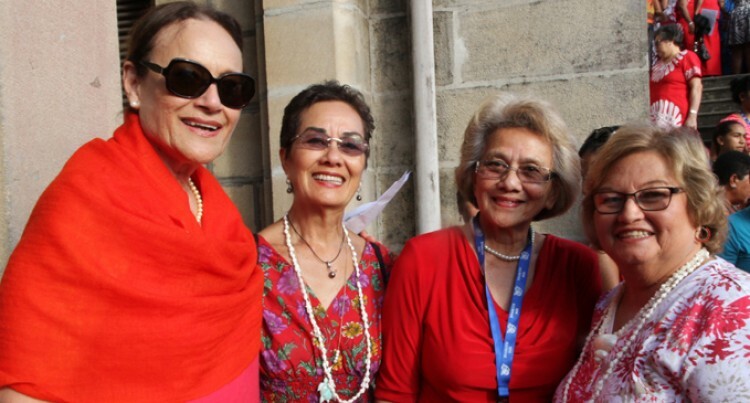 The celebration closes on Sunday September 11 with a closing mass at Sacred Heart Cathedral in Suva.